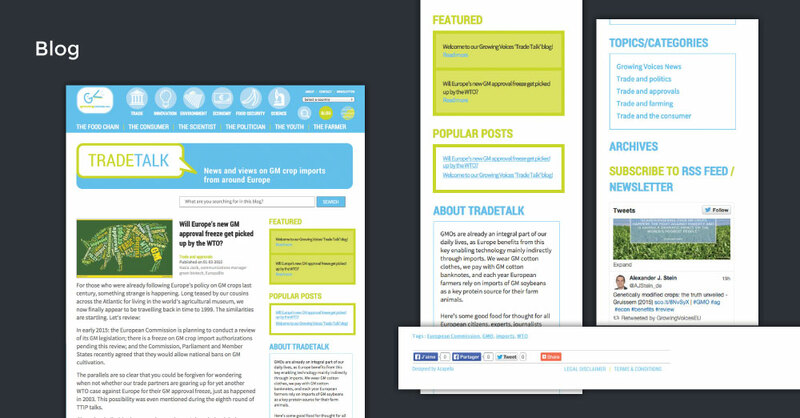 TradeTalk is a tailor-made blog, designed and developed by Acapella for EuropaBio. 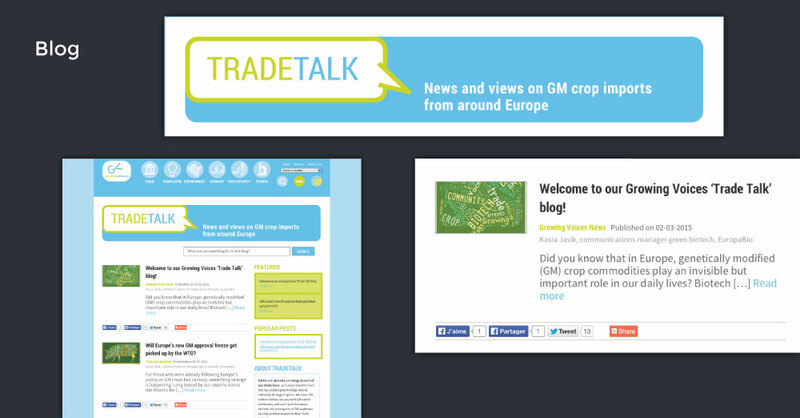 The blog is fully managed by the client in the same CMS than the Growing Voices website (also designed and developed by us). The advantage of a tailor-made system is that the back-end is just what our client needs, nothing more, nothing less. So it does not require any special training : it is as easy to use as a simple text processor. Correction: it is even easier to use !